For today's post I used the Bitty Blossoms stamp set by Gina K Designs. 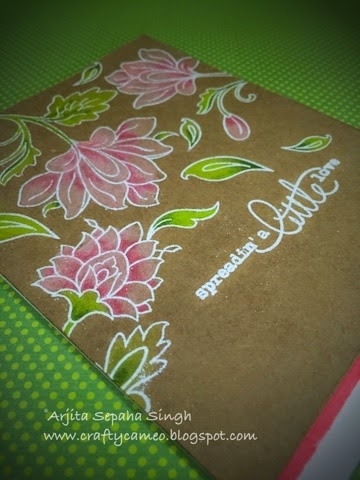 This is a mini stamp set with a delicate floral cluster and I decided to create a pattern paper using it. 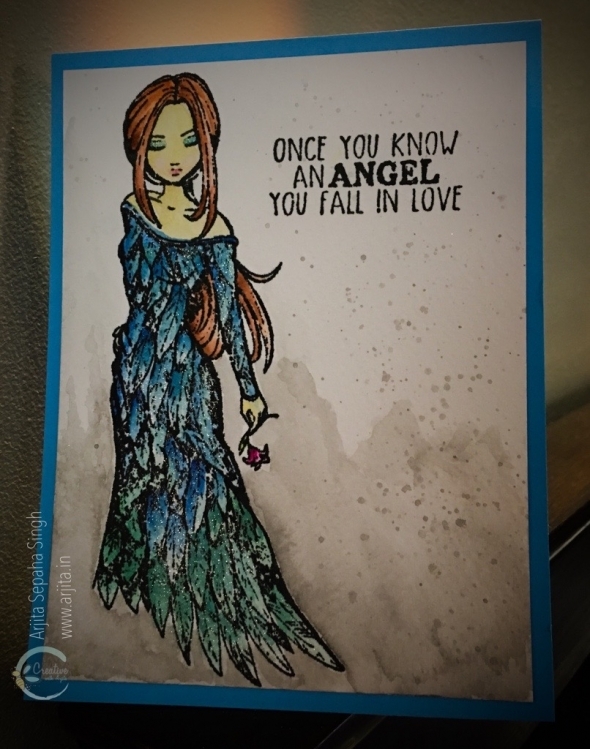 I stamped the image repeatedly on some Gina K Designs Artist Choice Paper which is perfect for copic colouring. Happy Friday!! 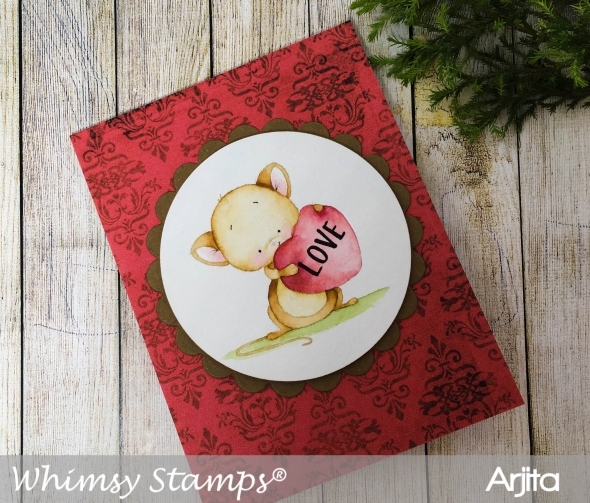 Welcome to my blog and today I will be featuring the Little Love Tags Bundle by Concord & 9th. 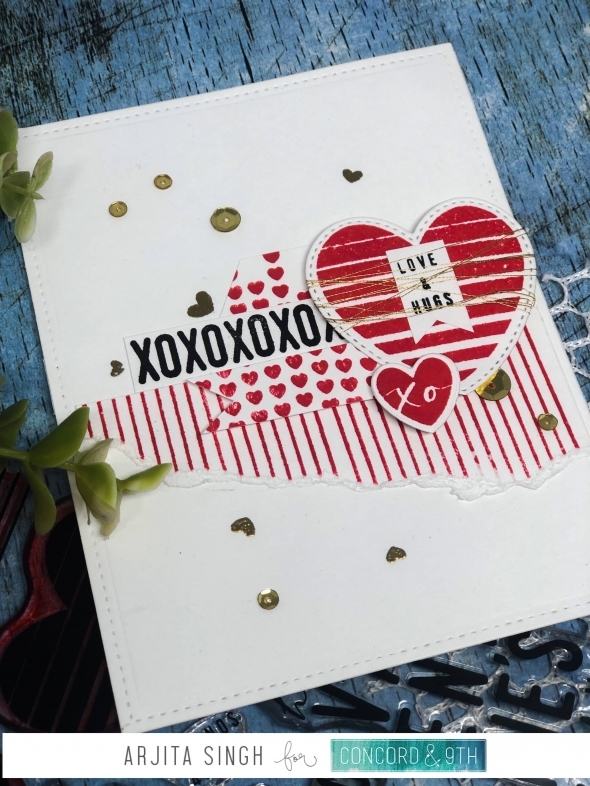 This is a fun stamp which has these tiny stamps which can be used to create stunning backgrounds.I feel this stamp set can be used in a various mixed media style projects.I used it that way and created a layered mixed media card which is perfect for Valentine's day. Happy Friday!! 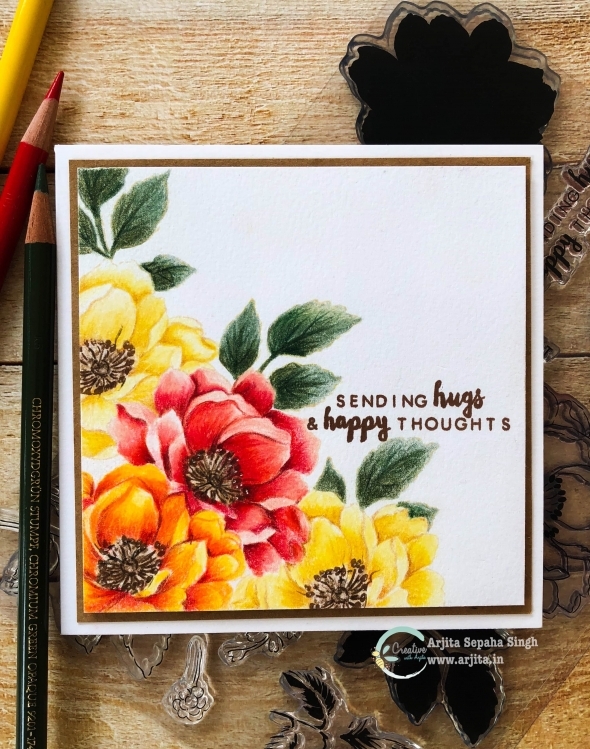 Welcome to my blog and today I will be featuring the cute Hugs & Kisses Turnabout Stamp & Die Bundle by Concord & 9th. This is a small turnabout die and stamp bundle which is perfect for smaller cards and is very quick to create cute cards. 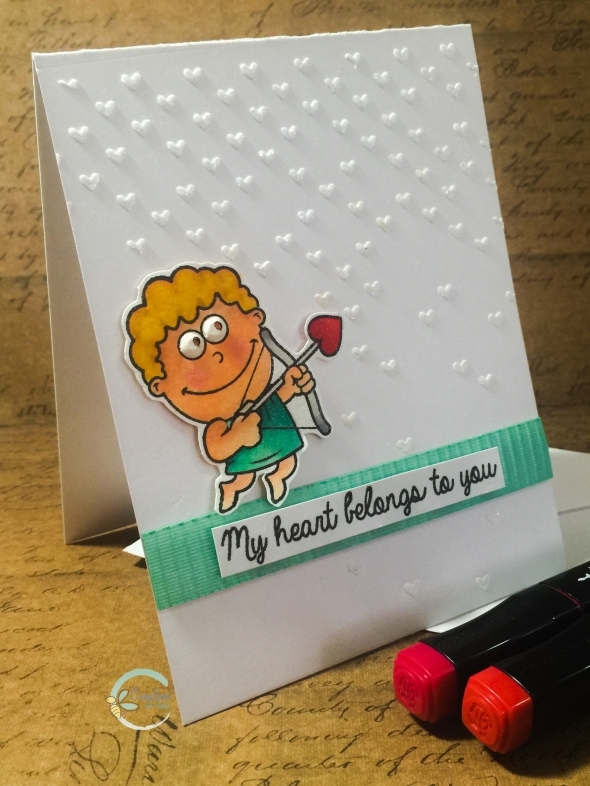 I used the die for my card today and made a simple & elegant card. Happy Friday!! 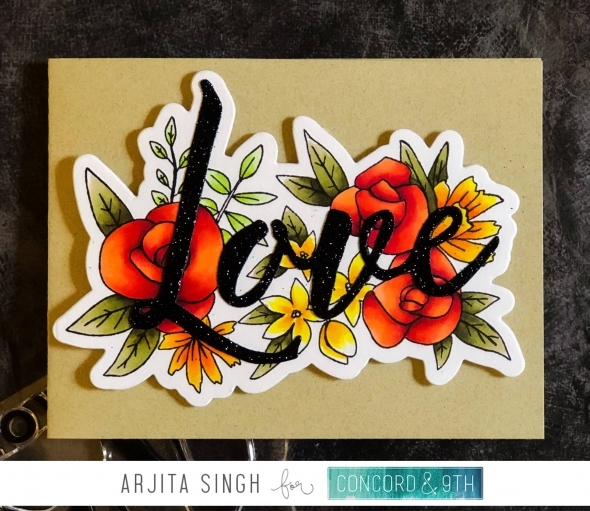 Welcome to my blog and today I will be featuring the Just Love Stamp & Die Bundle by Concord & 9th. 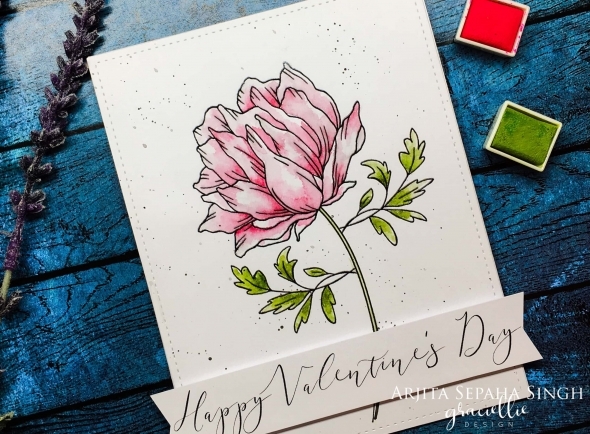 This is a gorgeous stamp which has the most beautifully calligraphed word LOVE surrounded with florals.I had a great time coloring this beautiful stamp and the outcome is stunning. Welcome to today's blog post and video. 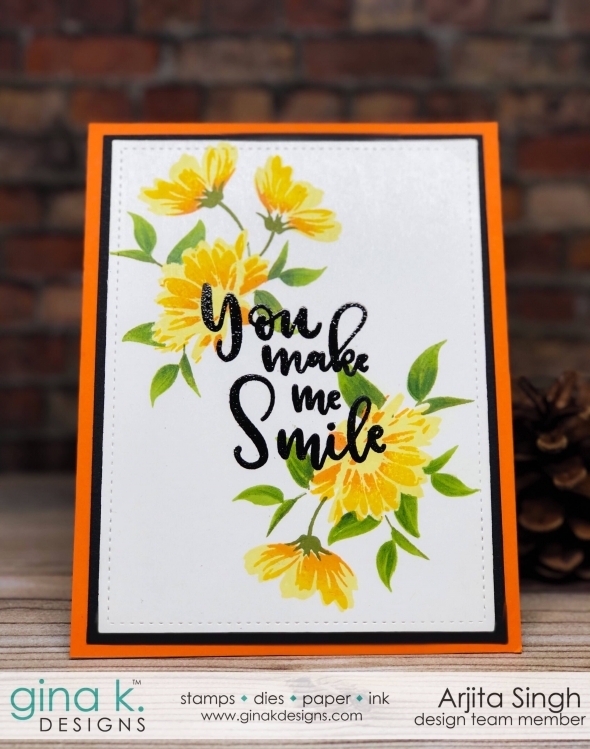 I have used the gorgeous stamp set from the SUNSHINE & LOVE Stamp TV kit. I used the multi step flowers and few Gina K inks to get the beautiful effect. Welcome back to my blog. 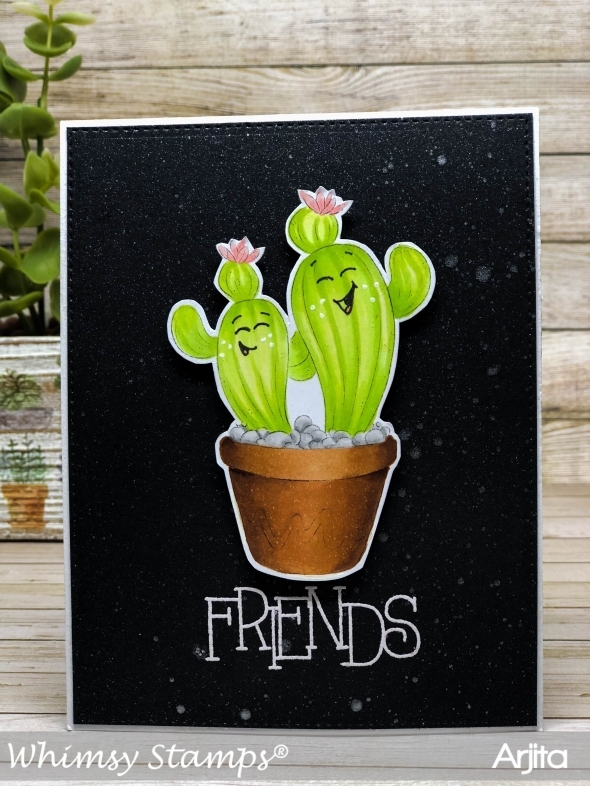 Today I have an adorable card to share which features the Stuck on You Cactus Stamp by Whimsy Stamps. 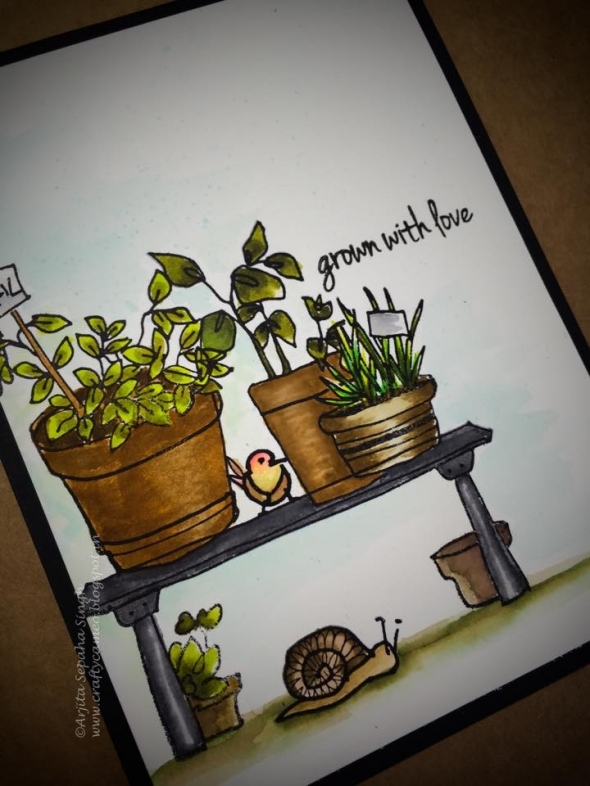 This is a super fun image to colour and I used copic markers for this card. 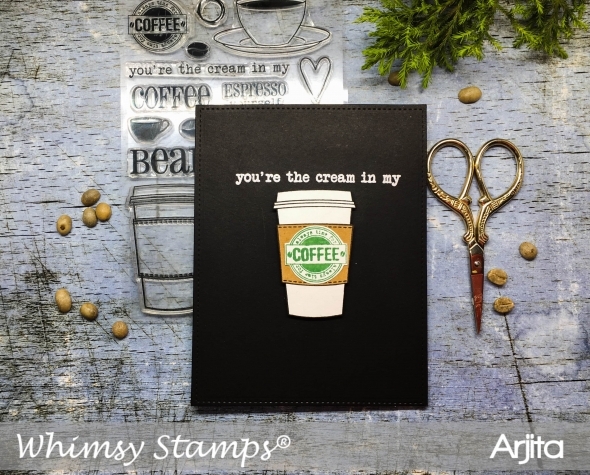 I am a huge coffee addict and this is one of my all time favorite coffee themed stamp sets by Whimsy Stamps. This is a clean and simple card and can be easily mass produced for all your coffee lover friends. 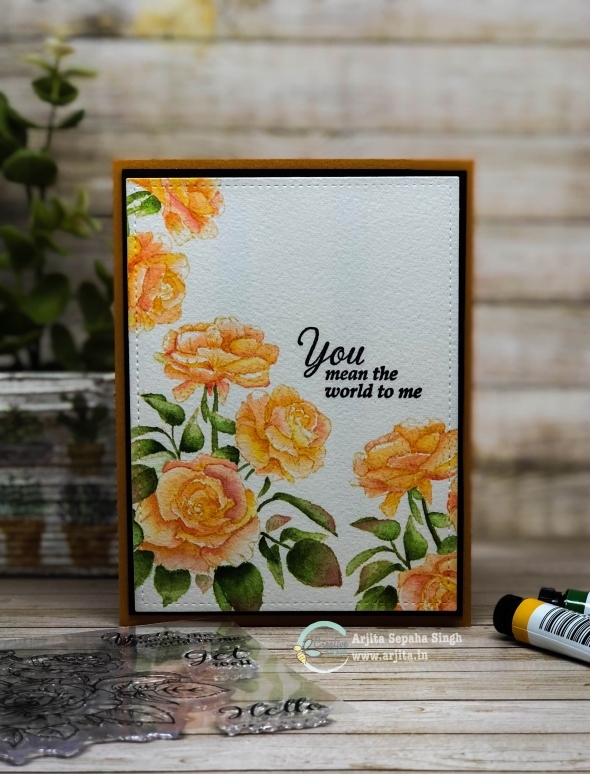 I love colouring florals with different coloring mediums and for this card I decided to try Faber Castell Polychromos pencils. The pencils are very soft and blend beautifully. Its a bit time consuming but was extremely therapeutic to colour these blooms by Altenew. I stamped the images using a light ink and then by chosing 3-4 shades of each colour I got this beautiful blend. 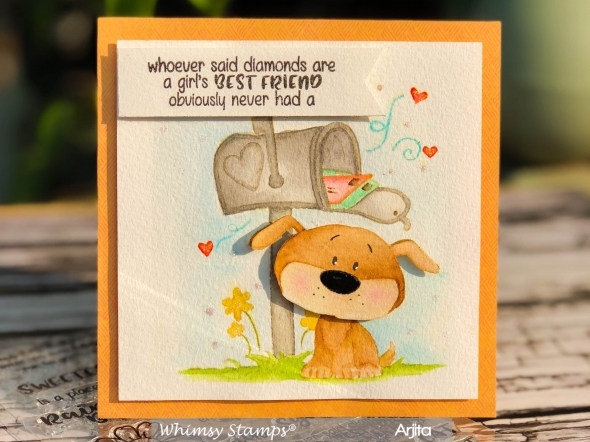 For today's card I chose two adorable stamp sets one from MFT and the other one was by Your Next stamp. 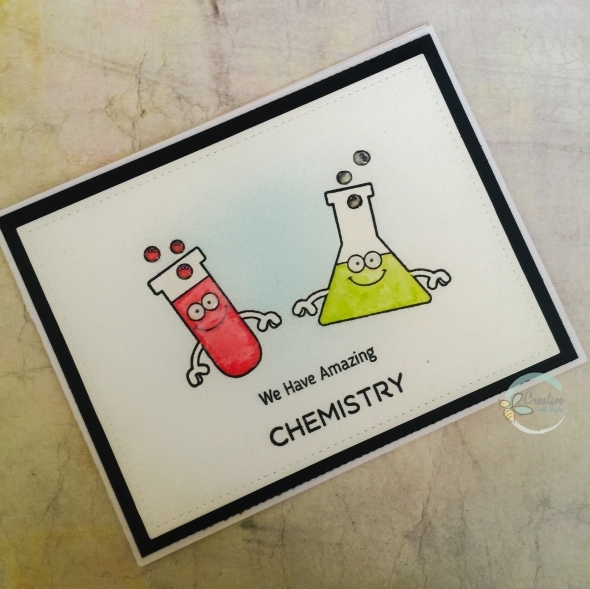 Both the stamp sets are designed by keeping Chemistry as their theme. 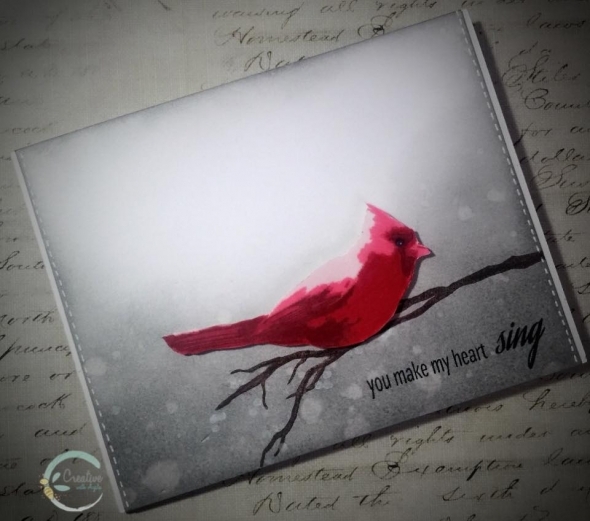 Hi friends, I got this Altenew Winter Cardinal stamp set few days back and I fell in love with it . 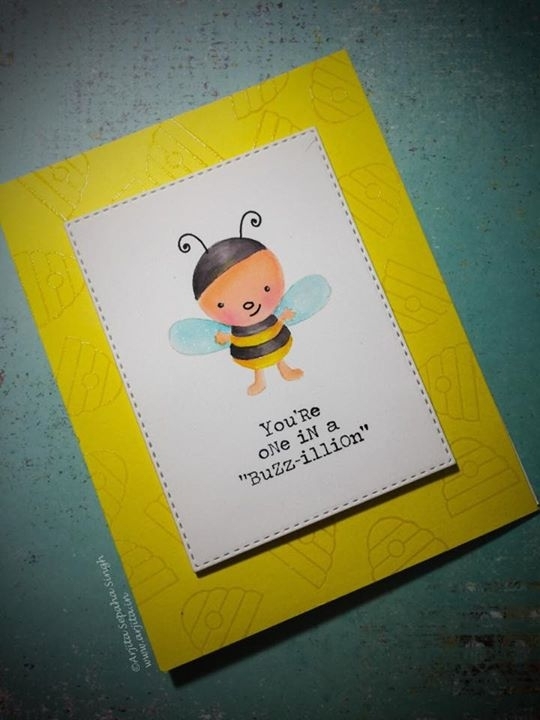 This is a very quick and easy card to create. Hi Friends, I am currently hooked to watercoloring and no-line colouring is a style I totally enjoy on flowers and cute critters. 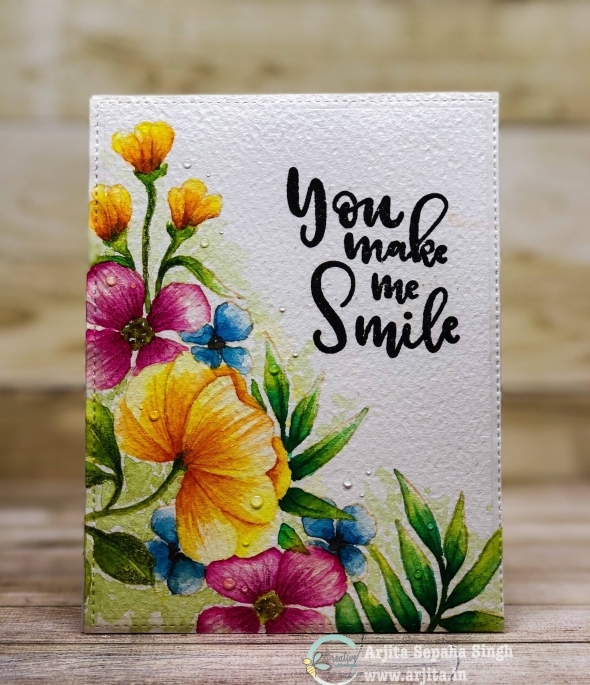 Hi friends, I fell in love with the Altenew stamps at first sight😍. The stamps are so different and versatile . We can achieve various looks and styles with just one stamp.